Israeli soldiers abducted, Thursday, a Palestinian child in Ya’bad child, southwest of the northern West Bank city of Jenin. Media sources said the soldiers abducted Mohammad Abdul-Hakim Abu Bakr, 15, while he was in the southern area of the town, and took him to an unknown destination. 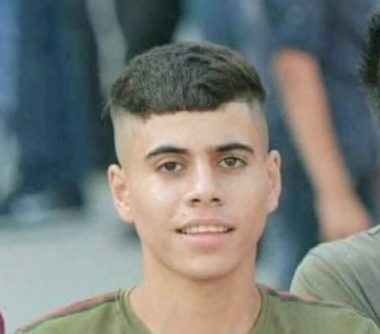 On Wednesday, the soldiers abducted Ahmad Tareq Abu Bakr, 19, and Ahmad Jalal Abu Bakr, 18, from their homes in Ya’bad. Earlier Thursday, dozens of soldiers invaded Jenin refugee camp, in the northern West Bank city of Jenin, injured four young men, and caused many to suffer the effects of teargas inhalation, in addition to abducting one Palestinian.